If you’ve been around here for awhile, by now you know about my love affair with binders. Yes, it’s true. I LOVE to organize with binders. In fact, I’d put my love of binders right up there with my love of clipboards, label makers and Elfa Storage Systems. This post contains affiliate links for your shopping convenience (which means if you make a purchase after clicking a link I will earn a small commission, but it won’t cost you a penny more)! Click here to read my full disclosure policy. So why do I HEART binders so much? Ease of Use: Although I like to use file folders to organize reference/archival papers, binders are the easiest way to corral and organize papers that I’m actively using for current projects & papers I frequently reference. Portable: It’s so easy to grab a binder off the shelf and take it with me if I need to access those papers on the go. Easily Stored: Binders can be stored just about anywhere for easy access throughout your home (drawers, cabinets, shelves, etc.). This makes it possible to store them near their point of use. 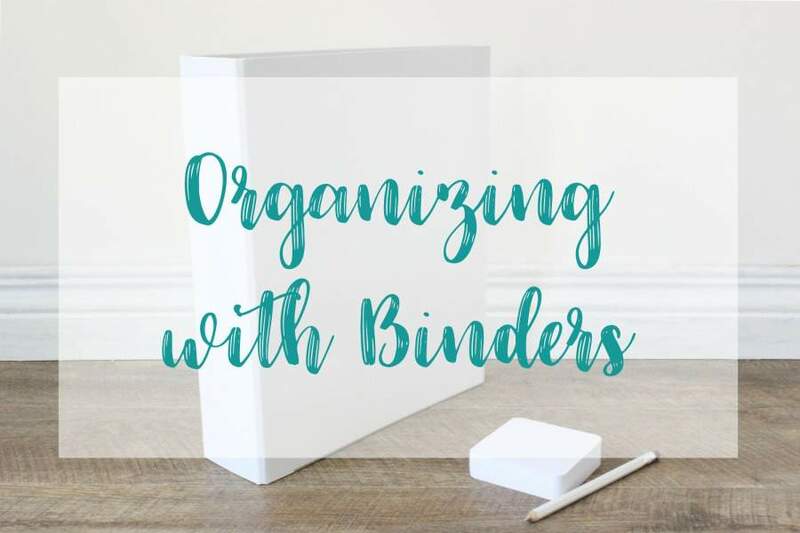 Inexpensive: Binders are fairly inexpensive and they can be reused over and over again once you’re finished with a project. UPDATE: The 2018 Ultimate Homemaking Bundle sale has ended. The good news is that the Ultimate Bundles Group continues to offer different bundles throughout the year (and occasional flash sales on previously offered bundles). If you don’t want to miss out on future bundles, click here to join my newsletter list, and I’ll make sure you’re the first to hear when future bundle sales go live! 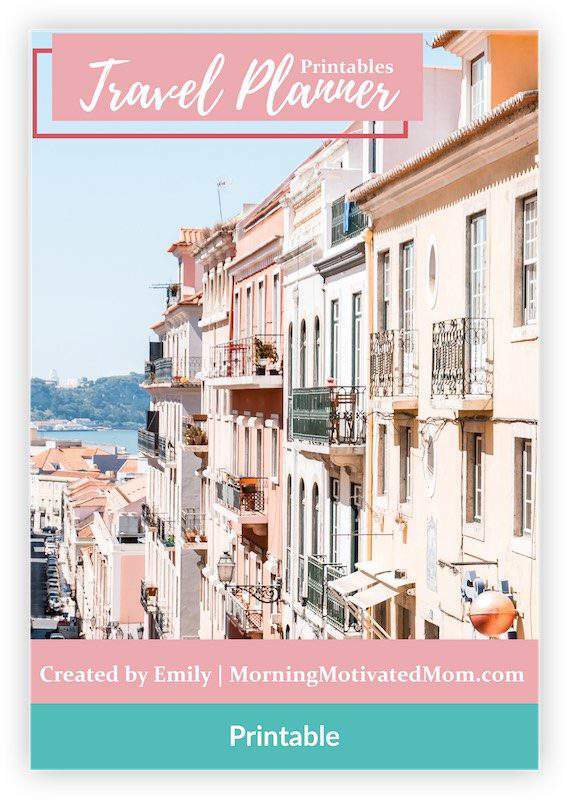 A few days ago, I introduced you to the Ultimate Homemaking Bundle, a collection of 129 eBooks, eCourses, membership sites and printable collections designed to help you manage your home life like a pro. 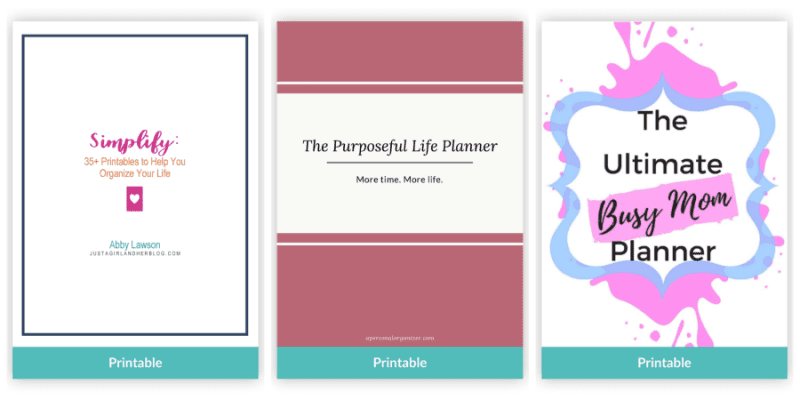 As I dig deeper into the bundle, I was excited to discover just how many of printable resources can be used to quickly create an entire collection of binders to organize just about every aspect of home life! Let’s drill down and take a look, shall we? 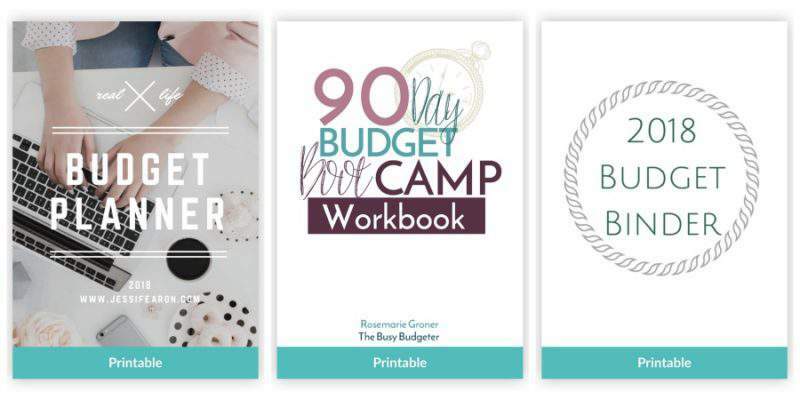 Creating a budgeting & household finance binder is a smart way to keep on top of your family’s money matters (in fact, we devote an entire month to organizing your finances & bills in the Organize & Refine Your Home Challenge). Despite our efforts to simply the holidays, there are so many “moving parts” that it’s almost impossible to juggle all of the tasks involved without some sort of organizing or planning system. 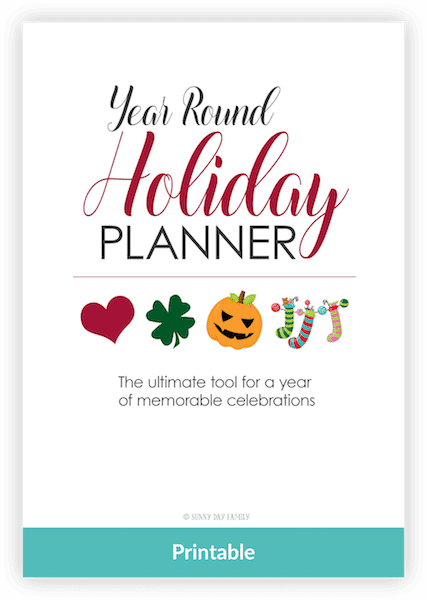 Creating a holiday planning binder is the perfect way to store all of your party planning, gift giving, food shopping and holiday card ideas, inventories and lists. And for those of you who homeschool, I don’t have to tell you how many balls you’re constantly juggling each day (especially if you homeschool multiple kiddos). 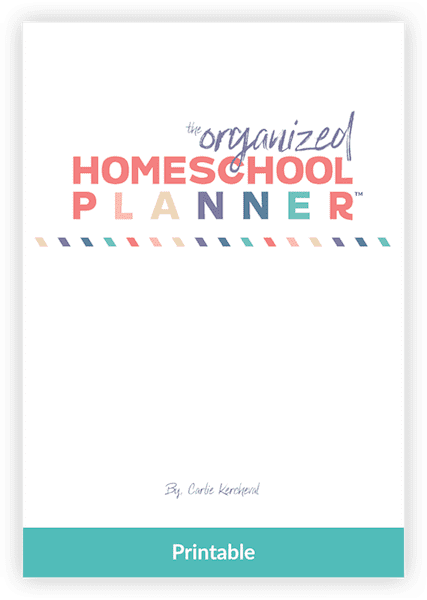 Wouldn’t it be great if you could create a Homeschool Bible for yourself in the form of a pretty binder full of gorgeous printables? Do you have a trip of a lifetime in your future, or maybe just your family’s annual pilgrimage to the beach? Either way, there are typically oodles of details involved with the trip planning process. So there you have it! 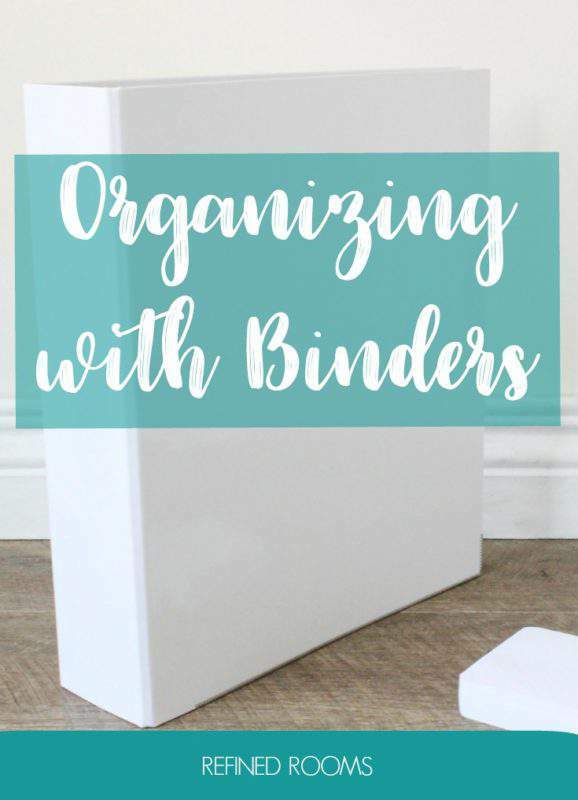 I hope I’ve convinced you why you should organize with binders. They are the key to eliminating paper piles AND your overstuffed file cabinet! 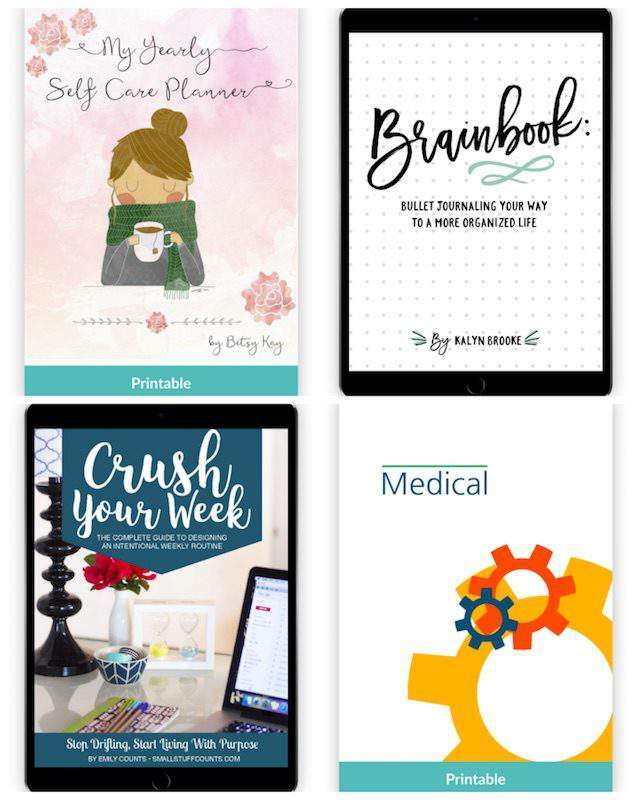 « THE 2018 ULTIMATE HOMEMAKING BUNDLE HAS ARRIVED! Love love love these ideas!I am currently in the process of conquering my inner clutter monster, and binders has been one of the primary tools I am using. This is a great blog post and very helpful! Saying that the post has been very helpful is the highest compliment…glad you found it so. And yes, binders ROCK!